Human development and the momentous forces of globalization confront the natural world in Latin America and the Caribbean with unprecedented challenges that are shaping a new kind of politics. This first volume of Environmental Politics in Latin America and the Caribbean introduces readers from a broad range of disciplines to the principal environmental problems facing one of the most ecologically diverse parts of the world - from deforestation, land degradation, biodiversity loss and water shortages to climate change. It provides an essential introduction to the historical, political and economic context in which the natural environment in this region is being transformed, providing the backdrop for Volume II which examines the green movement and policymaking. 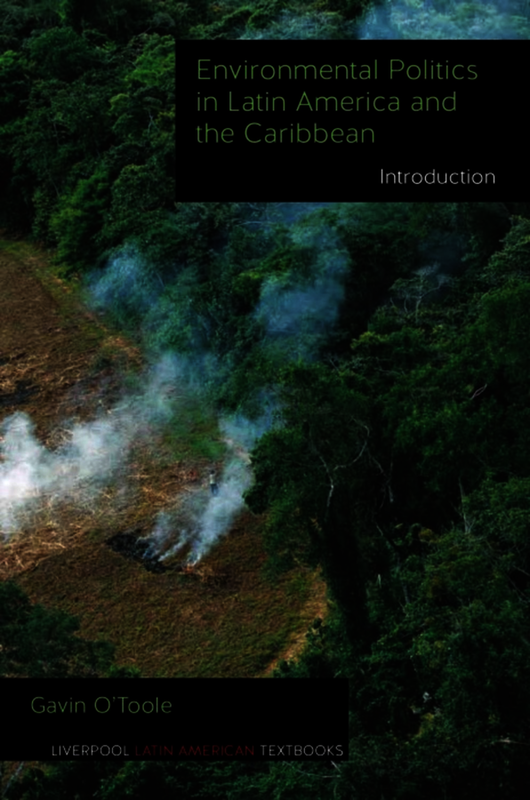 This introductory volume sketches the environmental history of Latin America and the Caribbean to show how society has been shaping the landscape since pre-Columbian times. It surveys ideas that have determined attitudes to the environment since Conquest and the political legacies influencing the emergence of green activism. It examines the impact of changing patterns of economic growth and how states are embracing sustainable development to confront climate change. Together, both volumes of Environmental Politics in Latin America and the Caribbean provide the framework for a modular course on this essential topic, with each chapter structured to be the basis of a single teaching unit. Using tables, boxes and maps to support the student, the two volumes offer an accessible way of understanding the background and context of environmental politics in the region as well as theoretical debates and key developments. Gavin O'Toole is a freelance journalist, writer and consultant; and editor of the Latin American Review of Books. His previous works include The Reinvention of Mexico: National Ideology in a Neoliberal Era (LUP, 2010).